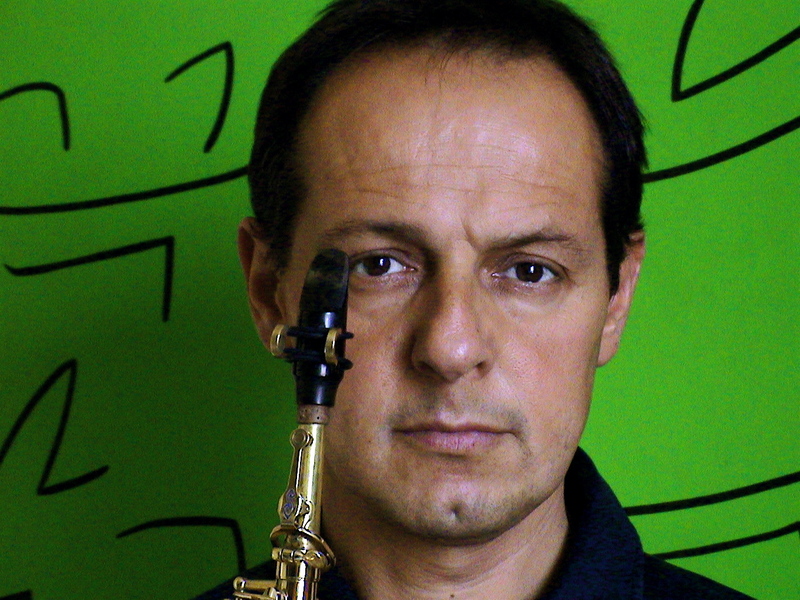 Gianni Mimmo has built an international reputation for his unique treatment of musical timbre and his exploration of the advanced techniques on the soprano saxophone. His peculiar work is mainly focused on the relationship among distant artistic declinations and his style is based on a deep knowledge of the instrument and on a sound consciousness which is the constitutional element of his voice. Gianni has developed a unique blend of abstract lyricism and contemporary flavours. His projects have been excellently reviewed by international magazines and webzines. In the last few years some features of his music have shifted to unsuspected directions and his personal curiosity led him to new connections adding some fresh subtleness to his instrumental tone and developing a more compositional attitude to his improvisation. As composer he often works with graphic scores where elements coming from different musical languages find a new form where fragments and more unbound ideas ask for a fresher interpretation and performing responsibility. His pantheon is pretty crowded and includes several names coming from art, music and philosophy: painters like Jackson Pollock, John McLaughlin, Toti Scialoja, Mario Sironi, Felice Casorati; adventurous jazz musicians like Steve Lacy, Roscoe Mitchell, contemporary souls like John Cage, Robert Ashely, Earle Brown, philosophers and beautiful minds like Giorgio Agamben and John Berger, writers like Yasunari Kawabata and Herman Melville, poets like Marina Cvetaeva and Wisława Szymborska. His current projects include collaboration with musicians as Harry Sjöström, Alison Blunt, John Russell, Daniel Levin, Hannah Marshall, Elisabeth Harnik, Clementine Gasser, Gianni Lenoci, Cristiano Calcagnile, Lawrence Casserley, Martin Mayes, Vinny Golia, Garrison Fewell, Benedict Taylor, Gino Robair, Jean-Michel van Schouwburg, Nicholas Isherwood, Ove Volquartz, Nicola Guazzaloca, Xabier Iriondo, Michele Marelli, Teppo Hauta-hao ,Mario Arcari, Peter Brötzmann, Achim Kaufmann, Matthias Bauer, Veli Kujala, Enzo Rocco, Angelo Contini, Stefano Pastor, Stefano Giust, Alessio Pisani, with dancers Marcella Fanzaga, Norontako Bagus Kentus, Sebastian Prantl, photographer Elda Papa, video artists and poets as well.